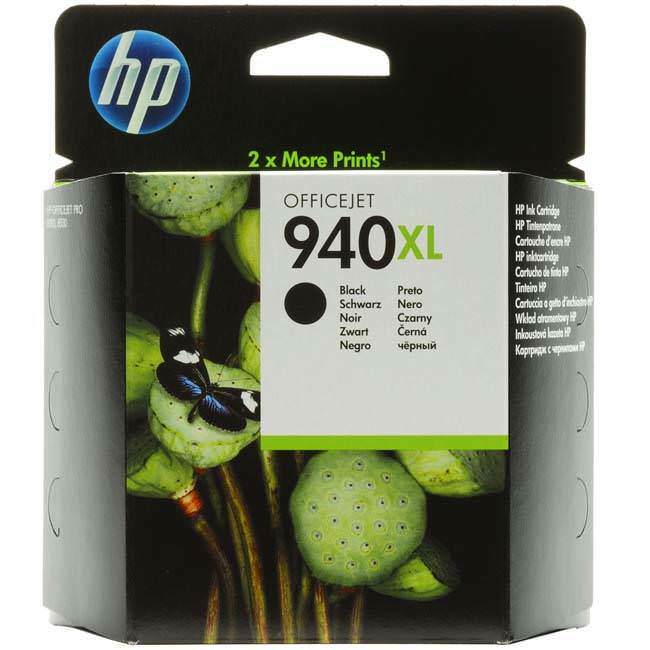 The original HP 940XL black Officejet ink cartridge will print professional, sharp, rich black text documents. Using pigment inks designed to resist water and fading to ensure reliable, consistent printouts for the office to deliver the quality and reliability you�ve come to expect from HP. This is a C4906A black high capacity cartridge, it will produce approximately 2,200 pages @ 5% page coverage with its 49ml of ink. You can find a standard capacity black cartridge and other products for your printer by selecting your printer model number below.